What a first year it has been at Open Doors! We have watched our membership slowly grow into a small group of fun teens, some of whom love to do projects together, and some of whom prefer to follow their own path. As a staff, we continue to learn the art of communication: how to listen, how to offer, how to ask, and how to spread the word. And it is certain that we never would have made it without dedicated volunteers and a supportive community. Join us as we reminisce about our first year at Open Doors. We know there will be more good times to come, including the Slender Man ongoing project, which will have a link here when it’s completed. As our regular year draws to a close, we encourage you to check out our Summer Program, and join us next year as the adventure continues! As you may remember, our Critical Thinking and Feeling class has been working on a movie after our Slender Man adventure. A few weeks ago we went Goodwill shopping for part of Slender Man’s costume, to which we added a few minor modifications. 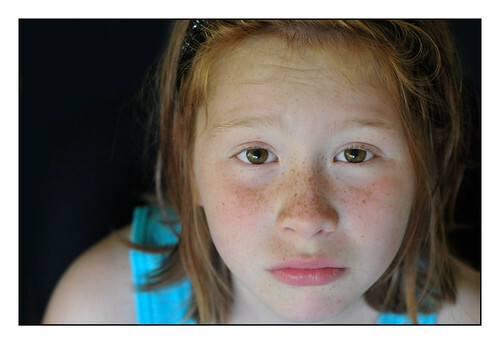 My grandfather used to say of certain people, “Know nothing, fear nothing.” We tend to think of this of little children. We see their long-run fearlessness, their hopefulness, as nothing but ignorance, a disease of which experience will cure them. With what cynicism, bitterness, and even malice we say, “They’ll learn, they’ll find out what life is soon enough.” And many of us try to help that process along. But the small child’s sense of the wholeness and openness of life is not a disease, but his most human trait. It is above all else what makes it possible for him—or anyone else—to grow and learn. Without it, our ancestors would never have come down out of the trees. The young child knows that bigger people know more about he world than he does. How they feel about it affects, and in time may determine, how he feels about it. If it looks good to them, it will to him. The young child counts on the bigger people to tell him what the world is like. He needs to feel that they are honest with him, and that, because they will protect him from real dangers that he does not know or cannot imagine, he can explore safely. We can only grow from where we are, and when we know where we are, and when we feel that we are in a safe place, on solid ground. As the May graduation frenzy winds down, maybe it’s time to think about those teens who never make a traditional high school graduation. If a teen is empowered, often with help from the adults in her life, leaving high school can mean taking back her education and becoming a self-directed learner. But for too many teens — nearly a million every year, nationwide — leaving high school means all the hopelessness of dropping out — no job, no college, no creativity, no travel, and an increased risk of poverty, crime, and victimization. How can we turn this around? The first step is to ask the teens themselves. That’s what this video is about. We’ll say it again: ask the teens themselves. They’ll tell you how school isn’t working for them in its current form, if you’ll listen. When interviewed, up to 40% of teens said they feel unmotivated at school, and up to 75% of teens named school as a source of considerable strain in their lives. Which is interesting, given that 75% of all school students have a learning style (such as being a hands-on learner or a social learner) that isn’t addressed by the traditional classroom model of lecture, memorization, reading, and writing. At Open Doors, our teens have said that their solution is to pursue real-world, self-directed learning. Our teens are not “dropouts,” though they are not in traditional school — they are working, interning, volunteering, creating, writing, researching, and always, always learning. We look forward to hearing what other teens, like those in this video, have to say. We hope that more solutions for self-directed learning — the kind of learning that provides real meaning and growth — spring forth from the conversation. Come to an event to find out more. Can You Find Your Calling? Consider the story of the famous Spanish bullfighter, Manolete (1917 – 1947), whose life was the subject of the 2008 film The Passion Within (UK) starring Adrien Brody. No matter what you think of bullfighting, the story of Manolete’s calling has some interesting things to say about the journey of self-directed learning. Born Manuel Laureano Rodríguez Sánchez, Manolete would grow up to change the face of bullfighting, inventing new methods and revitalizing the ideals of el corrida de toros, which some would say holds the soul of Spain. And yet, Manolete was a timid and fearful boy. Was a dim knowledge of the call there all along? Then of course little boy Manolete was afraid and clung to his mother. Of course he kept away from torero games in the street, taking shelter in the kitchen. How could this nine-year-old boy stand up to his destiny? In [the acorn of his soul] were thousand-pound black bulls with razor-sharpened horns thundering toward him, among them Islero, the one that gored him through groin and belly and gave him death at age thirty and the largest funeral every witnessed in Spain? … Manolete exhibits a basic fact: the frail competencies of a child are not equal to the demands of their daimon [or destiny]. Children are inherently ahead of themselves, even if they are given low grades and held back. One way for the child is to race ahead, as in the famous cases of Mozart and other “infant prodigies” who benefit from good guidance. Another way is to shrink back and hold the daimon [or destiny] at bay, as did Manolete in his mother’s kitchen. At Open Doors, our teens do come to us with their code written deeply into their souls, their calling hidden among the glimpses we get of their passions, fears, and dearly-held opinions. It is up to us, the adults, to listen and to become a student of that code. Come to our events to find out how we help teens discover who they really are. In this interview, Tara Burns sat with me and shared her experience since she opted out of her old high school and jumped into the self-directed approach of the Open Doors Center for Self-Directed Learning. Tara is a teen who went on a quest in the summer of 2013 to find out who she could become without the distractions of traditional school, something her experience told her “didn’t quite fit with what she was feeling within.” It was so pleasing to hear of her empowering experience at Open Doors. Tara went from having low attendance and low grades in her traditional school setting to feeling pangs of guilt if she ever has to miss a single class at Open Doors. 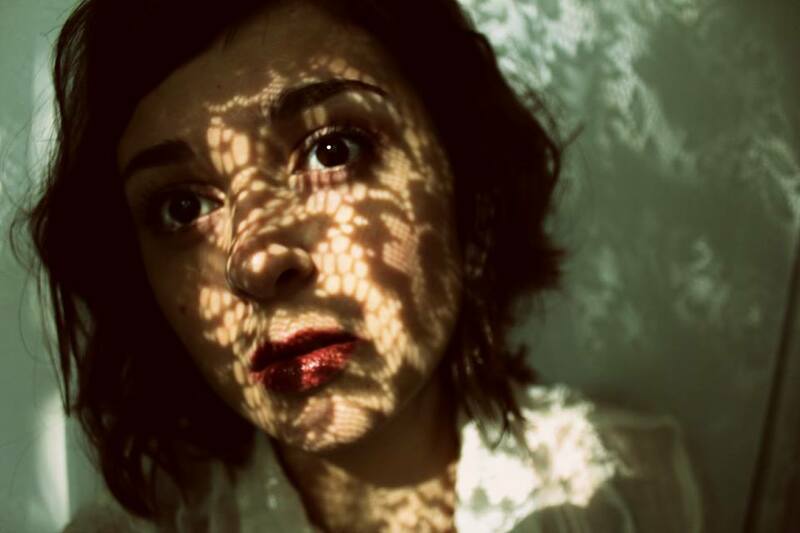 The insight gained by her self-directed studies has helped Tara discover what had long been her inner dream: to become an Art Therapist. Tara’s confidence has increased now that she has a specific direction in life: not only does it feel great, but she is pleased that the outcome is going to benefit others. Within six months of being at Open Doors, Tara is able to take significant steps to begin actualizing her desired future. With assistance from Rebecca Kirk, the Director of Open Doors, she’s been developing a Personal Learning Plan which includes setting up interviews and internship possibilities to help her learn and grow in the direction of her dream. Adena: Who do you feel you were when you began at Open Doors? Tara: I didn’t know. But, I was excited. It felt like new things and opportunities in life were happening. High School was feeling really “out of reach” for me after freshman year. It felt impossible. I tried Online Schooling but that wasn’t fun. Adena: What was the biggest need that was not being met in your traditional school setting? Tara: It felt like subjects were being pushed. Like, we would start something I was interested in and then we would change the topic in a couple days and begin talking about things I wasn’t really interested in. I really wanted to keep studying the subject I was interested in more deeply. Adena: What are some of the classes you are taking now and your opinions of them? Tara: I am learning a lot in all my classes. I know we don’t do grades here, but (giggle) I would give me an A in every one of them. (We both laughed.) I like the U.S. History Class because I am really drawn to learning about Civil Rights and we are really staying focused on that because that’s what the class members want. Personal Finance is interesting because when I took the little test on “what I knew” before the class started it was interesting to see what the answers to things like ‘saving’, ‘taking care of yourself’ and ‘paying bills’ really were. And I love my Film Studies class. I am also learning some really neat things in a class called Stalking The Wild Asparagus which teaches about wild edibles. I also take a Non-Violent Communication class with many of the adult members, and a Feeling and Critical Thinking class; both of which are very helpful when considering the direction I want to continue to take with Art Therapy. Adena: Is Open Doors satisfying you as your needs grow and evolve? Tara: Yes. I feel more freedom creatively and I like knowing where I take my education is my responsibility. Adena: In order to opt out of traditional school and take the challenge to become Self-Directed here at Open Doors, a member must become homeschooled under the law. When your family first learned of this, how did they feel? Tara: Excited for something new. My mom was very skeptical. It wasn’t until after our first meeting with Rebecca that she really began to feel more settled. It’s not what people might think. Adena: What did you want to do with your life when you came to Open Doors and has that changed? Tara: I couldn’t really say when I came here, but I knew I felt “Art Therapy.” I could sorta feeeel it inside me as an idea. Not really a concrete reality. It wasn’t until Open Doors members helped me learn how to research those things that I learned it was a real job! Art in my old high school was mostly me sitting with a group of kids who really didn’t care about art. It was a lot of talk about drugs and whatever their homework was for another class, but never art the way I wanted to learn about it. I don’t even think the art teacher knew my name. I’m pretty sure she called me by a completely different name during conferences. After the interview, Tara got back to her projects and I to mine. At Open Doors we are pleased about the versatility that the timeless clock offers us and the great pleasure it brings to work with teens who simply need some respect and the opportunity to learn in their own unique way. Adena Koslek is an Instructor and Teen Coach, as well as a founding member of the Leadership Team of Open Doors. It’s been an amazing first year here at Open Doors. Working in this respectful and open way with teens is an unique and enlivening learning experience; we are so blessed to see this natural learning process unfolding daily. 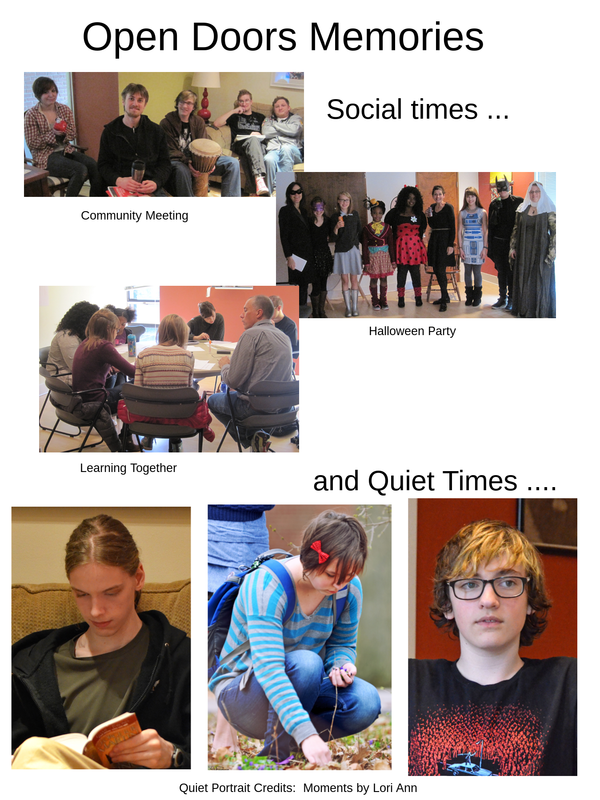 For some of our teen members, Open Doors has provided interesting classes, fun interactions and easy, comfortable space in which to study, relax and learn. You’ll read in Tara’s interview how it has also provided a safe place of healing from past school experiences which were disabling. For all of us, it has been a great time of growth and discovery. Your support, well-wishes, encouragement and questions have been, and are, well-placed and greatly appreciated. We hope you enjoy our end-of-the-year newsletter and will help us spread the word by forwarding this to your friends and acquaintances so that other teens can find their way to a thriving teendom. The power is in your hands. Grab life by the art! Real learning in the real world is such an important principle at Open Doors. That’s why we’re happy to share a story of our collaboration with Goodwill Industries, a non-profit with significant positive influence in our community. As described in Learning with Slender Man, our Critical Thinking and Feeling class is working on a short scary film. 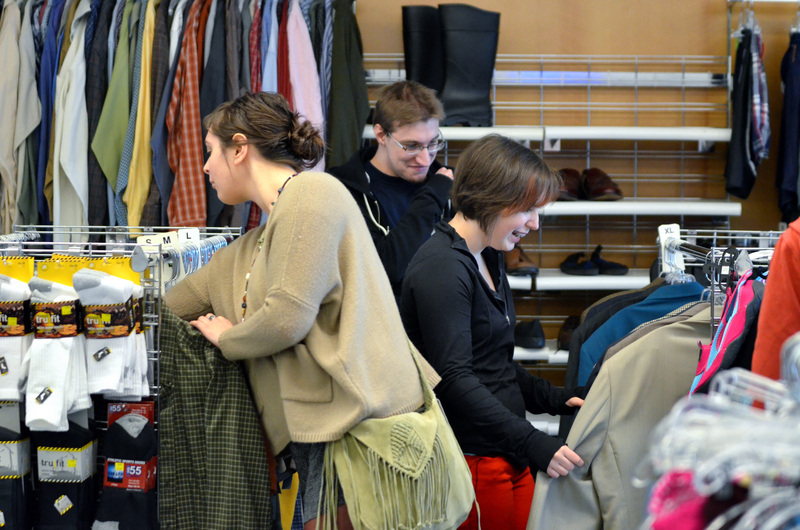 They went to Goodwill to pick out costumes and props for the movie. When we called ahead about our trip, the staff was happy to accommodate us and make room for our photographer, Lori, to take pictures. Thank you to Goodwill Industries and Moments by Lori Ann. The class was careful to respect other customers and their privacy. They were delighted to find low-prices on costumes and other fun items. 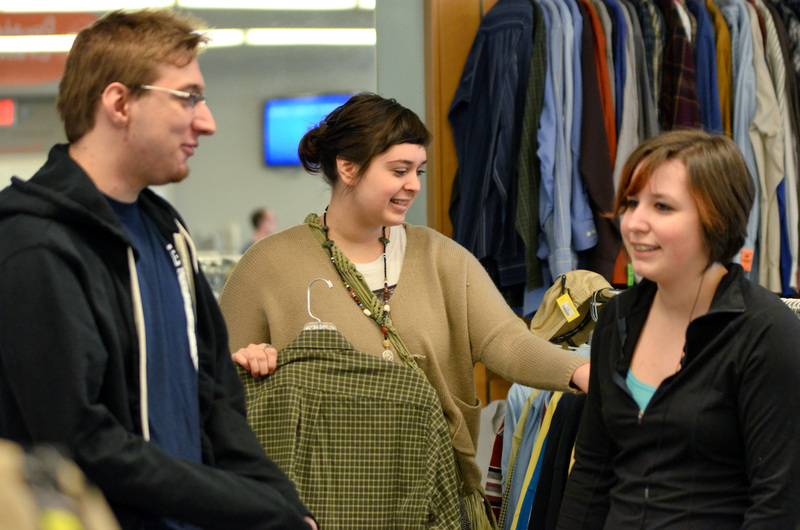 The world is our classroom, a place where budgeting, creating, and cooperative problem-solving all happen naturally — thank you to Goodwill Industries for being a part of that. 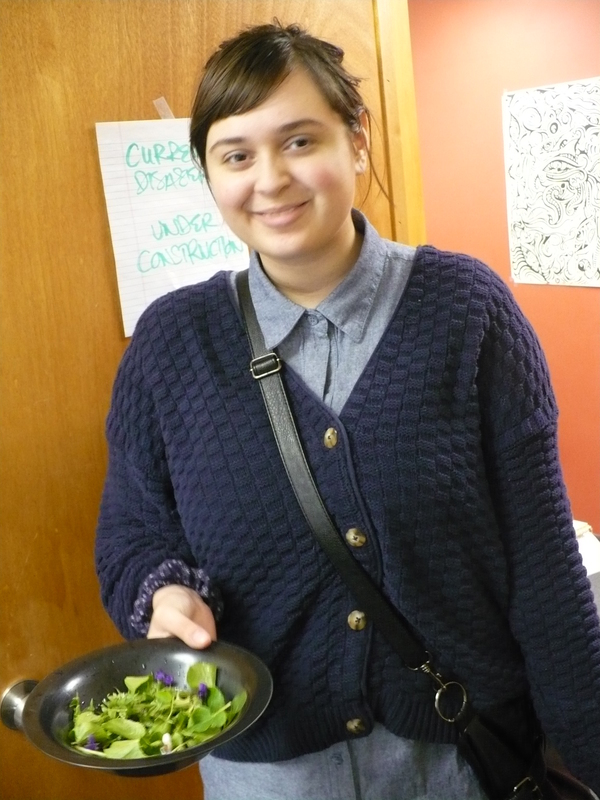 The Open Doors teens have been enjoying spring by harvesting violets for salad and sap for syrup. 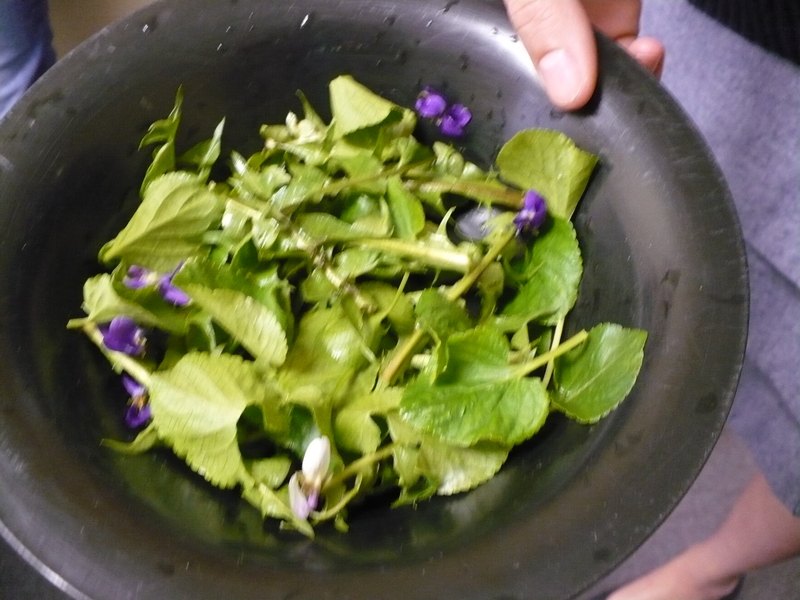 Violets and greens in salad — delicious! Having a break while out foraging. 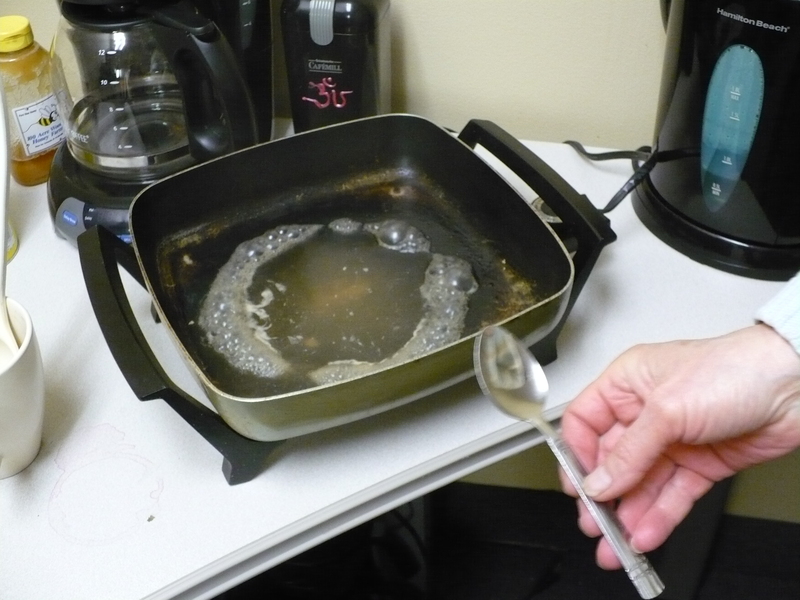 Boiling maple sap for a light, almost nutty syrup. Meanwhile, our Writing Class has been going strong. One of our members won first in her age bracket in the annual Poetry Contest sponsored by the Dyer-Ives Foundation. The class has moved from poetry, to story, and now to essay. Rossetti would approve. As our regular year winds down, we look forward to sharing our six-week summer program, Prizing Your Power, an art and social justice program where teens can collaborate to make art about their favorite cause for community display. Come in and see what we do!